Fine looking spotted tie, these are among the rarest of all Old Judge cards. 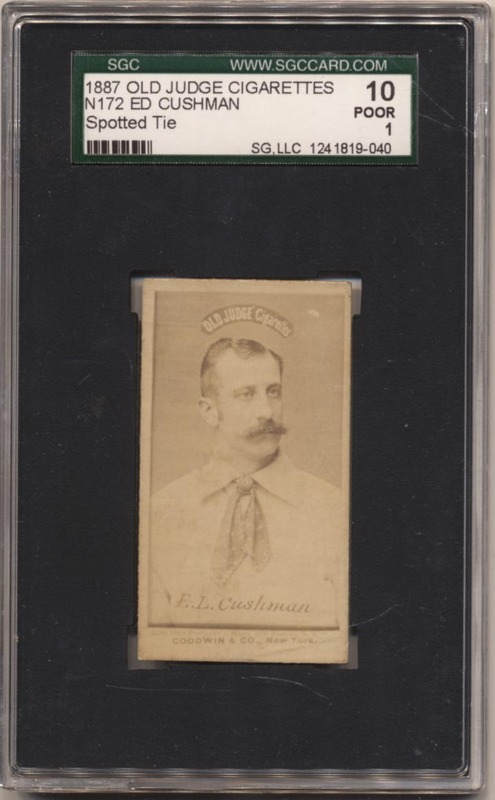 Revered by collectors, this example has a perfectly clean front with a nice image and pristine surfaces. Mild wear on the back led to the 1 grade.